[yt_dropcap type=”square” font=”” size=”14″ color=”#000″ background=”#fff” ] T [/yt_dropcap]he World Uyghur Congress (WUC) would like to address some serious mischaracterizations of our organization in recent days, namely in an article by Giancarlo Elia Valori that appeared in Modern Diplomacy – an online news and commentary website. We wish to confront a number of the claims made by the author considering that we have encountered disingenuous allegations in the past and we find it necessary to respond clearly and openly in what follows. The piece begins with the author’s assessment of what the four primary geopolitical goals of what he refers to broadly as the “Uyghur political movement in Europe” – as well as in Latin America, Europe, Australia, United States. Despite referring to an ostensible movement in Europe and elsewhere, the piece quickly draws its focus squarely on the WUC and attributes each of these goals to the organization itself. Valori suggests that the first goal has been to “’cover up’ and distort the intelligence signals of the Chinese anti-jihadist network”, a suggestion that warrants little attention given its absurdity. The WUC has neither the means nor the desire to play any kind of role in these affairs and has been consistent in its condemnation of violence in all forms. Secondly, the author argues that a further goal has been to, “isolate and separate the People’s Republic of China from the Western world”. On the contrary, the WUC believes that a more-integrated China would lead to progress in terms of the protection of human rights. Integration and participation with the rest of the world through channels like the UN Human Rights system in particular have proven to lead to positive outcomes for all concerned. What is more, the author goes on to suggest that a third priority has been to, “raise funds for the Uyghur internal and external terrorism in Xinjiang” – a further outrageous claim that contradicts all of the work centred on peace and non-violence performed by the WUC since its inception. Similarly, the author then suggests that the WUC works to create favourable media coverage to “creat[e] positive climate and feelings – as freedom fighters – for the Uyghur jihadists operating in China” – another claim that would be amusing if it were not so serious. The article also makes problematic assertions about the General Secretary of the WUC, Mr. Dolkun Isa, and raises questions about his work in Europe. Mr. Isa now works from Munich, Germany and has been a German citizen since 2006, but was forced to leave China because of political persecution following his work as a student democracy leader. With regards to the INTERPOL red notice that is also raised by Valori, many states have been known to take advantage of the system for their own ends, as was demonstrated in a report by the International Consortium of Investigative Journalists. Isa has, however, lived in Germany since 1996, demonstrating the clear reluctance of democratic states to take China’s claims seriously. Mr. Isa continues to travel freely to states that respect human rights and are not burdened by undue influence from China – political influence that led to his visa refusal to India earlier this year (after initial approval) and his brief arrest in South Korea in 2009. Political pressure has been felt by countless human rights activists and bears no resemblance to any legitimate legal proscription. Furthermore, the author also asserts that WUC president, Ms. Rebiya Kadeer, was imprisoned because she was convicted of selling military secrets to the United States. Kadeer, however, was initially arrested in 1999 while on her way to meet with the Congressional Research Service in Urumqi for speaking more openly about the deteriorating human rights conditions in East Turkestan. Within the body of the article, the author also makes further claims regarding funding and relationships between the WUC and other actors. Perhaps the most incredible claim suggests that the WUC receives funding, “totalling $340 million US dollars a year” from the National Endowment for Democracy (NED) – an assertion that has absolutely no basis in reality. Although the WUC has been funded by the NED since 2006, the dollar comes nowhere close to the number stated by the author, considering the NED received just over $100 million for FY 2016. Grants from 2015 for the WUC can also be found here. With regards to budget considerations, the NED funds specific programs operated by the WUC each year, rather than merely providing blanket funding. Furthermore, the WUC does not simply ‘accept’ money from the NED, rather, each year our organization goes through a rigorous grant application process that is meticulously assessed by the NED’s Board of Directors. The NED explicitly and transparently supports only those organizations which espouse values embracing non-violence, democracy and human rights – an approach that demonstrates the consistent support since 2006. 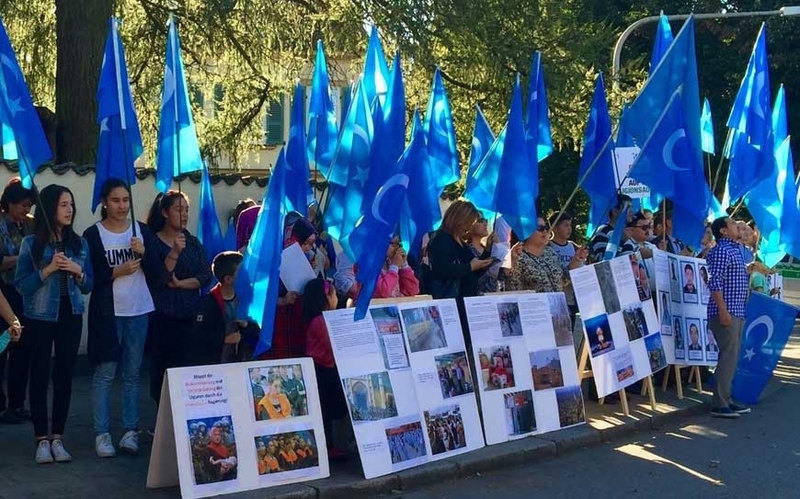 Pivoting towards WUC’s own ostensible support for Uyghur groups in China, the author then goes on to suggest that funding for the WUC stands as a basis for, “ […] future operations of the East Turkestan Islamic Movement (ETIM)” – a group that has been found to be either non-existent or operating nowhere near the capacity that is suggested by the Chinese government. Towards the end of the article, the author then goes on to conflate the work of the WUC and violent groups, a truly serious claim that we wholly condemn. The WUC has made it clear time and again of our support for non-violent resistance to the conflict in East Turkestan. At no point in our history as an organization has the use of violence or intimidation factored into to any of our work around the world. It is truly concerning that the author has taken clear steps to distort or otherwise prevaricate on the genuine work performed by the WUC. What is more, the claims made by the author do not hold up to even mild scrutiny. Any close observer would recognize the valuable work that the WUC continues to conduct as a means to promote democracy and human rights for the Uyghur people and to peacefully resolve the Uyghur conflict. Likewise, any serious writer would communicate first with the organization in which one is making such baseless claims. Despite the tendency of our organization to ignore such outlandish assertions that have arisen in the past, the WUC feels it necessary to make clear our position and to anticipate articles that may be published in the future on similarly baseless grounds. Truth will inevitably win out in cases that require careful consideration.